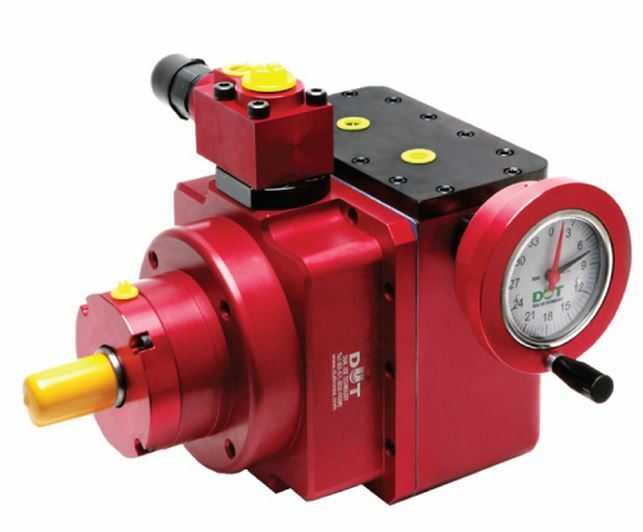 DUT has newly developed metering pump ‘DMP’ and it is the ‘Variable Displacement Axial Piston’ type. The pump has been completly redesigned internally to improve from the weaknesses of A2VK type metering pumps. 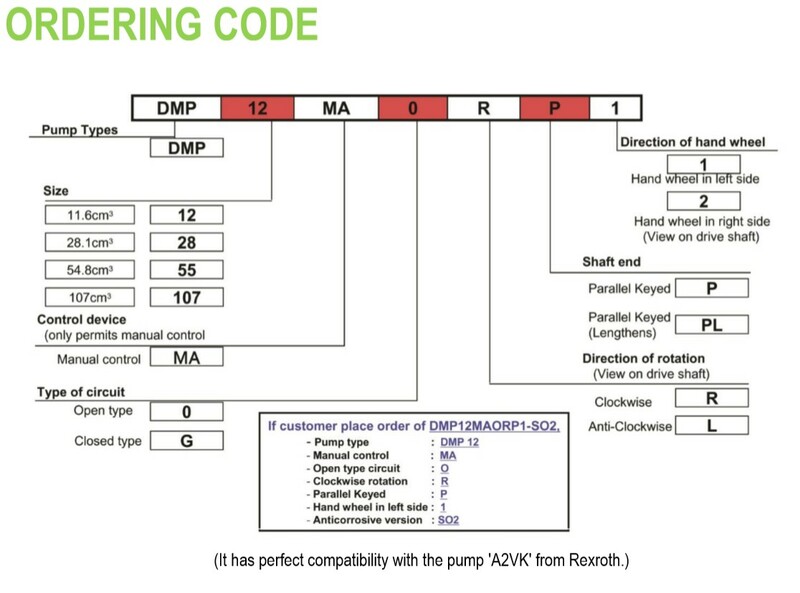 Hand wheel adjustments for ‘Mechanical Adjusting Gear’ have replaced by ‘Fine Pitch’, so operators are able to make the precise adjustment of output. Although parts inside are all changed and improved, it still has perfect compatibility with your previous models (A2VK type). And weight lightening technology has applied via parts-simplification inside and using duralumin case. Simplifications of design help an operator to maintain and repair the pump, so they can work more efficiently.